In our fast-paced, busy lives, coffee has almost become an innate need. In a day in which 24 hours are not enough to accommodate all our responsibilities to our social life, career, personal life, relationships, and sleep, we are almost expected to sacrifice on aspect of our life and more often than not, we sacrifice sleep. For this reason, coffee is now considered an essential tool to getting through our day. This is where 4 cup coffee makers come in to save the day. With a 4 cup coffee maker, I am able to brew more amount of coffee than with the use of a typical single cup coffee maker. 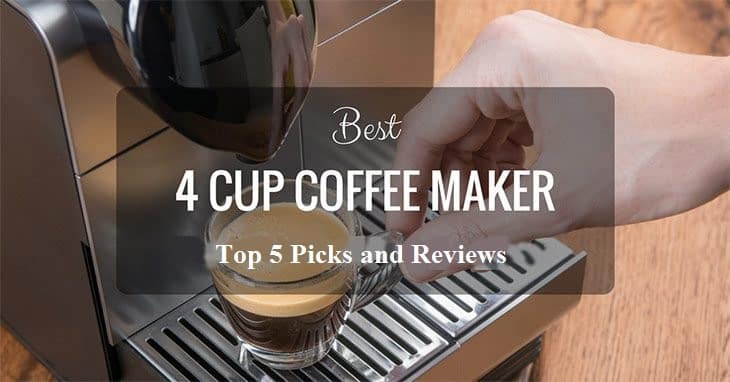 Because of this, I have taken the time to round up some of the best 4 cup coffee maker for the year. Having Second Thoughts ﻿about Getting One﻿? What are the F﻿actors to Consider when Choosing One? Are There Different Types of 4 Cup Coffee Makers? What are some Additional Tips ﻿﻿when Brewing or Buying﻿﻿? 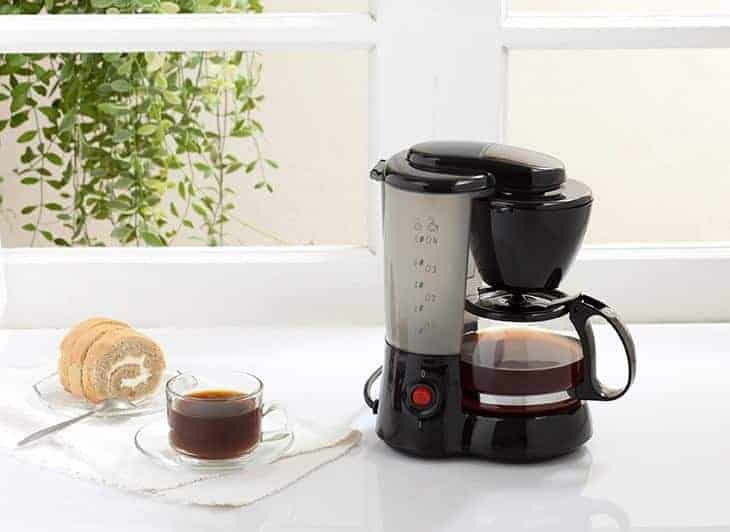 Versatility has always been something I appreciate about any device, model or product and the Mr. Coffee DRX5 Programmable Coffee Maker certainly comes with a lot of versatile features. First, it utilizes some of the greatest technology to ensure that your brewing process is easy as a piece of cake. It allows you to pause it midway while brewing enabling you to modify the blend of the ingredients, in the event that you don’t like it. It also features a removable filter basket which makes it super easy to clean. And my favorite, it has a feature that allows you to wake up to an already made brewed coffee. First of all, I absolutely liked that this comes with a carafe made out of stainless steel. It makes me feel at ease about its durability. This device also comes with a brew pause feature so like the second model mentioned, this will allow you to pause it midway and alter the blend according to your liking. Second, it comes with a 30-minute shut off which is very efficient and allows you to cut back on the electricity. It even comes with a pour spot that is designed to minimize chances of dripping when serving coffee. The first thing I did notice about this is that it comes with a budget-friendy price and just as importantly, is that it comes with a small, albeit unique and attractive footprint so it can fit even the smallest stovetops of the smallest apartments or dorms. More than that, this device is just easy to use. 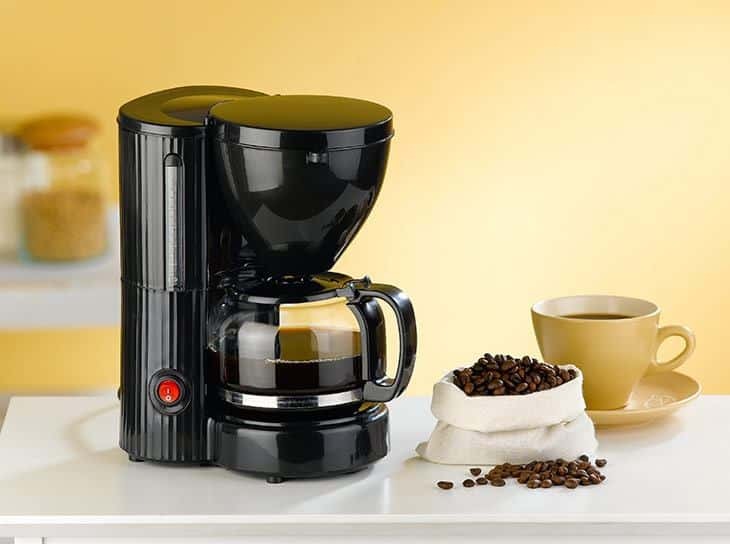 With an easy push on the button, voila, you’ll have a cup of freshly brewed coffee already. It also comes with a pause feature allowing you taste test your coffee and alter the blend if you like. Another thing I really loved about this is that it comes with an automatic warmer that keeps your coffee on a delightful warm level while storied inside the carafe. If you are the type of person that drinks a variety of types of coffee such as latte, espresso and cappuccino then this very well might be a really great fit for you. With just one device, you are able to get a machine that allows you to brew many types of coffee. This device comes with both a steaming and a brewing function. These make it easy for you to alter and adjust the strength of your coffee to however you like it. It also comes with a frother, as well, with a steam output that lets you steam your milk instantly. 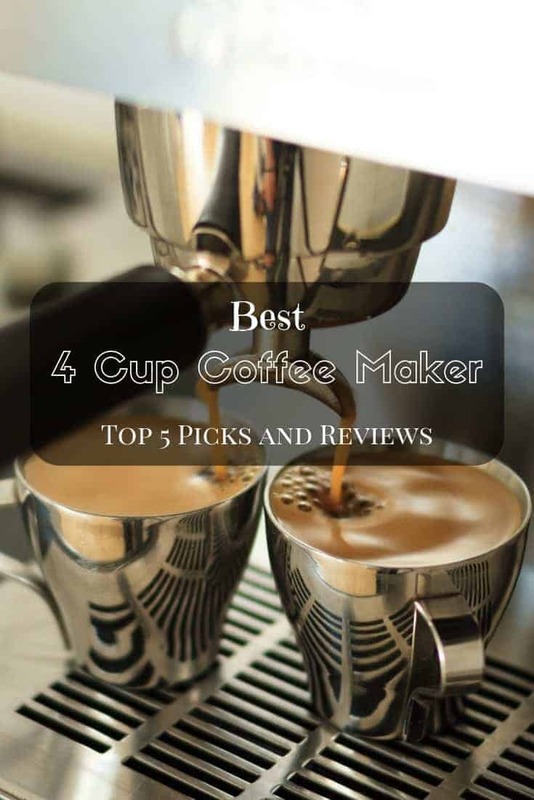 Best 4 cup #coffee maker – top 5 picks and reviews! What coffee maker is in your #kitchen? Before going onto the logistics, allow me to say just how much I appreciate the design of this model. It was like vintage and contemporary married and mated and this device was the outcome. Now onto the functional features, as the name states, the one thing I also liked about this was that it came with its own grinder. Second is that it also has two-way brewing options that allow you to either use your personally bought coffee beans or just the regular grinds. It is also easy to clean since it comes with parts that are detachable. So just simply take them apart and clean them one by one. Having Second Thoughts about Getting One? 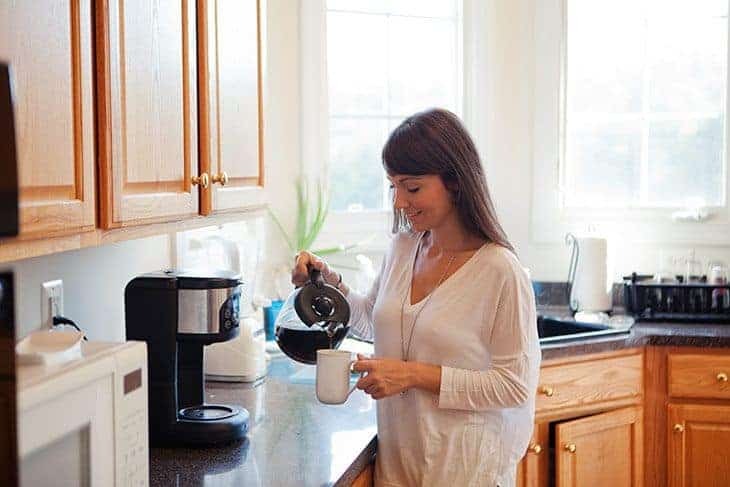 If you are having some doubts if you should get a 4 cup coffee maker then allow me first to define for you what is really a 4 cup coffee maker and what benefits it gives you. If you have ever wondered if 4 cup coffee maker really brew literally 4 cups at a single time, then the answer is no. The typical coffee makes with a standard size comes with a carafe that has only the size of about 5oz. If you are a coffee-holic or someone who just really loves to drown in coffee, this may not be enough for you. Or if you are living with a partner and the both of you are just moderate drinkers, then a standard 5oz cup coffee maker may not be enough for you. This is where 4 cup coffee makers come in. A 4 cup coffee maker allows you to be able to brew coffee in a 20z carafe. With this quantity, you are able to have an amount of coffee that is equivalent to a Venti sized Frappuccino from Starbucks. What are the Factors to Consider when Choosing One? Some people just are not morning persons. And some people do not even start to come alive unless the fresh scent of freshly brewed coffee hit their nostrils. For some, not until the silky texture of their coffee has touched their taste buds. For people that are not morning person, it Is probably best if you get 4 cup coffee makers that are programmable. This means you can program them to start brewing at any chosen time you like. The benefits of having carafes made out of stainless are really more on for the purpose of having longevity among the materials. Stainless st﻿﻿﻿﻿ee﻿﻿﻿﻿l carafes, after all, are not thermal carafes so they still depend on a hot plate to spark up the temperature and warm it up. The upside of this is that unlike carafes made out of glass steels, it is not brittle and is not prone to immediate shattering in the event that you dropped it. This is definitely one of my favourite features. What this does is that it allows you to pause your 4 cup coffee maker from brewing. This means you can probably alter and modify the blend of the substances and ingredients of your coffee midway and allows to change something before the process of brewing finishes. More importantly, this lets you get the taste that you most want. Not all 4 cup coffee maker comes with a permanent filter. This can mean more work for you if you are going to have to use a disposable paper filter every time, instead of having a built-in permanent filter. 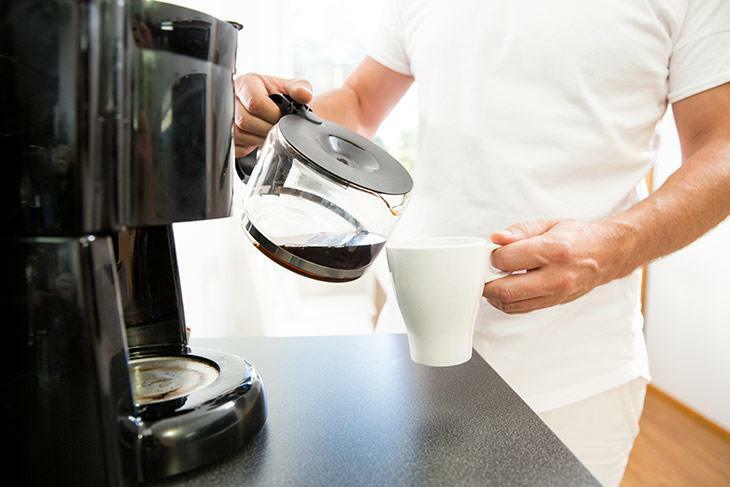 A 4 cup coffee maker that comes with a built-in filler certainly takes away the hassle from the brewing process. But in the event that you prefer the flavour of paper filler, you may still opt to use one. This probably goes without saying but just to emphasize this feature, a 4 cup coffee maker has to at least have a filter that can be removed and parts that can easily be taken apart. This will ensure that you are able to clean them thoroughly part by part. Yes, there are. 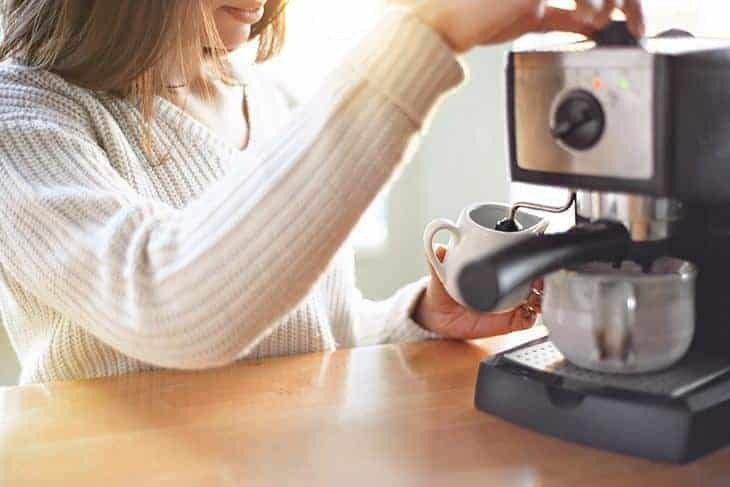 And to give you a better understanding of a 4 cup coffee maker and how to choose the right one for you, here is a list of all 4 types. Espresso machines are called espresso for a reason. This is because an espresso machine uses a certain process to make coffee that produces espresso. What the machine does is that it forces water by putting pressure against it to reach a boiling point. 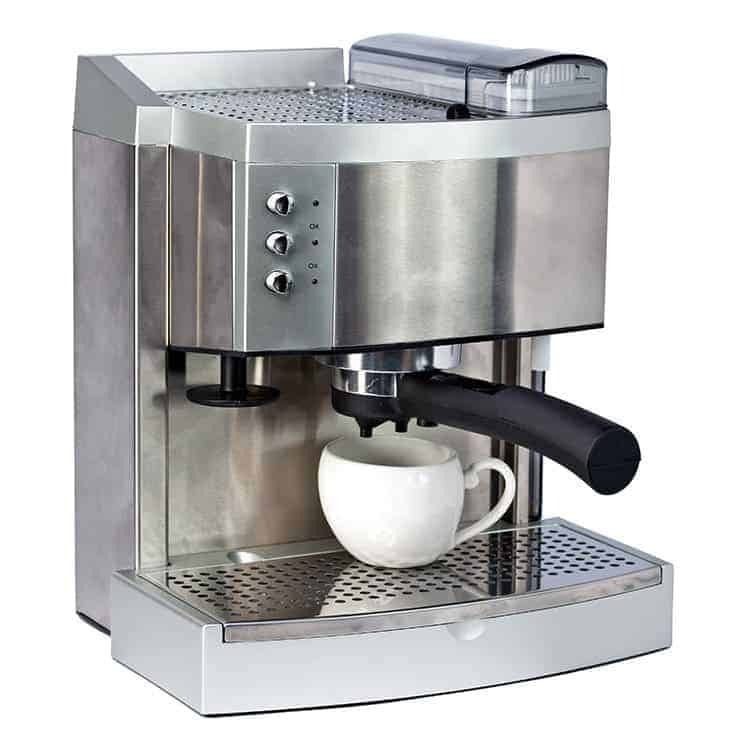 This, in turn, produces a concentrated coffee with thicker consistencies otherwise known as an espresso. From the name itself, this type of machine almost works on autopilot. This is because they are equipped with a microprocessor. This feature allows them to grind, operate, tamp, of course, brew with a simple click on the button. If we have super automatic machine types, we have the semi ones. The semi ones are equipped with a switch that you can push to turn on or start, pause and stop the process. These type of machines is the most basic. It is just the historical stovetop espresso pot. What are some Additional Tips when Brewing or Buying? Make sure you that you store your coffee beans in a room temperature place. You keep them in a sealed mason jar. Don’t store ground beans. Once you have ground a batch of beans, grind them immediately. This is to ensure the quality of your coffee. Never measure coffee by pure instinct. Always opt to use a scale. The best, I can say, among this list will have to be M﻿﻿r﻿﻿﻿. Coffee DRX5​​ 4 Cup Programmable Coffee Maker. This is for a number of reasons. First, it comes with a programmable feature that allows you to freely wake up to a freshly brewed coffee. Second, it is very easy to clean especially since it comes with a removable filter. Third, it also comes with a brew pause feature that allows you to pause it midway and alter the blend of your coffee in the circumstance that it is not yet up to par with whatever you like. If you are a coffee lover, check for some superb gifts here. It will surprise you a lot.